There's no denying flay lays have become the millennial way of sharing images online. 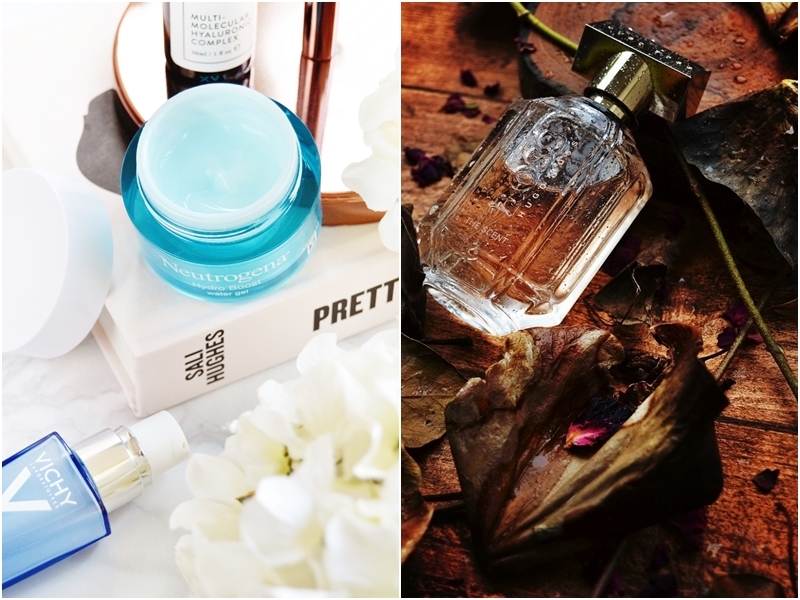 From taking that instagrammable shot to setting up the perfect flat lay for a blog post; I think we are all keen to up our flat lay game right now. Whether it's to showcase a product, sell a lifestyle or simply to be creative, a flat lay done right can achieve this and more. Which is why I wanted to share with you three pretty simple tips that can transform any flat lay into something much more pro. I hope my easy tips and tricks can help! When capturing detail especially in macro mode I often find auto focus just doesn't cut it. An image that looks sharp on your camera screen can often lack sharpness when on your laptop, ready to be edited. Which is why when it comes to up-close shots, images of my nails or even images that I know will be appearing in the image slider of my blog, I switch to manual focus on the side of my camera lens (labelled AF-MF). A tripod is required for this as when I've set up the shot I want I will zoom into the frame even further using the buttons on my camera and then manual focus my camera lens with the focus ring, from there taking the shot. This delivers perfectly crisp images every time that auto focus just couldn't achieve. Manual focus is also very handy when shooting through an object such as flowers. Shooting in this way will keep the flowers nearest the lens out of focus while the rest of the shot will be in focus. An easy mistake to make when styling a shot is to leave too much negative space. Of course adding in more props can instantly remedy this but also try to place items on the outer edges so that they overflow your frame to give a sense that more is going on and it isn't just a set-up shot. As you can see in the before example shot, above, there was simply too much negative space especially in the top right of the frame. Then when I placed a book on an angle in the space I could see I needed to even it out by placing a smaller prop in the bottom left corner of the frame.Creating a setup up in this way is sure to lead to an aesthetically pleasing flat lay. Find my blog prop recommendations here! Believe it or not, you don't always need to shoot flat lays directly above. Sometimes it's worth seeing what the shot would look like taken from at an angle. Often images taken at a 45-degree angle are visually pleasing and make use of the light well, often better than a traditional flat lay shots would. Depending on if you are shooting on a table or not you may need to grab a step stool to get the angle you want but it will be more than worth it. 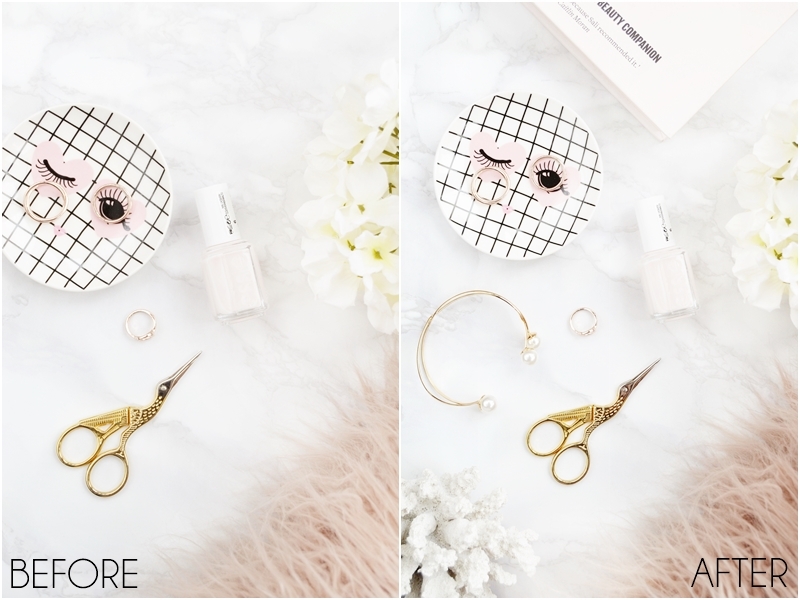 In both above example images, I felt I need to make use of the reflective surfaces and textures, which just wouldn't have been highlighted in a flat lay. I really couldn't have taken these shots in any other way! Hope you've picked up a few photography tips and tricks here!